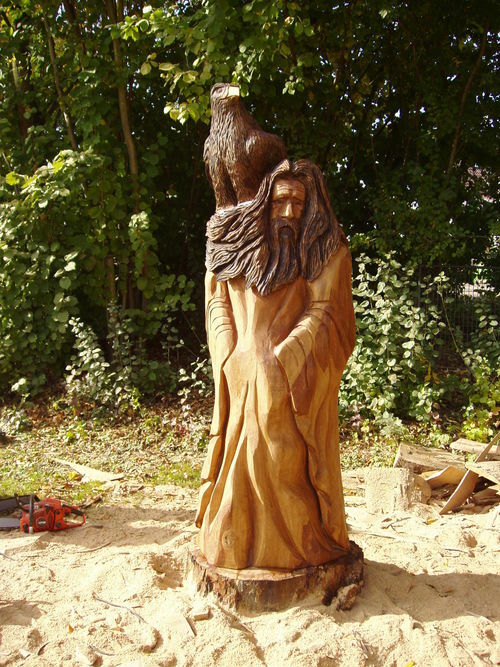 This eight foot high chainsaw carving was created in two days from a large log of oak, at Seeburg-See, Germany where it won first place (the 'People's Choice' as voted by those attending) in a chainsaw carving event. The event involved eleven chainsaw carvers from Germany and other countries including America. It was sold at the auction at the end of the event and is now in the large garden of Marko and Annamaria in Werxhausen, Germany.